Yingxue joined the Max Planck Florida Institute for Neuroscience (MPFI) in February 2018. She received her Ph.D. degree in Electrical Engineering from Swiss Federal Institute of Technology Zurich (ETHZ). Prior to joining MPFI, she was a postdoctoral researcher at Janelia Research Campus, Howard Hughes Medical Institute, working with Eva Pastalkova and Jeff Magee. 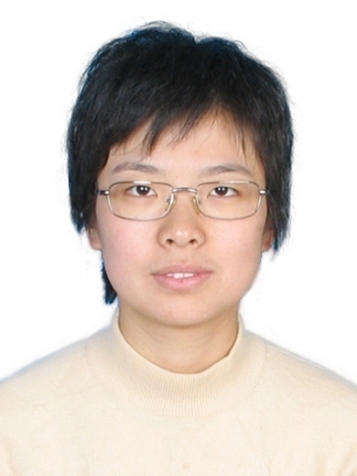 Xiaoliang joined the Wang Lab in April 2019. He received his Ph.D. degree in Neurobiology from Institute of Neuroscience (ION), Chinese Academy of Sciences, Shanghai. Prior to joining MPFI, he was a postdoctoral researcher with Barry Dickson at Janelia Research Campus, HHMI, and later with Longjun Wu at Mayo Clinic. Dongyan joined the Wang Lab in March 2018. She received her Master degree in Electrical Engineering from Chalmers University of Technology, Göteborg, Sweden. Before joining the lab, she gained her project management experience in the mobile and semiconductor industries, and worked for leading telecommunication companies, such as Ericsson and SonyEricsson. Raphael joined the lab in July 2018. Raphael graduated from the University of California, Berkeley in May 2016. He is currently a participant in the MPFI PRE program, and hopes to refine his research interests within the field of systems neuroscience prior to enrolling in graduate school. Rebecca Urbonas joined the Wang Lab in Fall 2018 as an undergraduate in the Max Planck Honors Program. She is a National Merit Scholar and member of the FAU Med Direct B.S./M.D. pipeline program, where she will graduate with her B.S. in Biology in 3 years, and then matriculate into the Charles E. Schmidt College of Medicine. Una joined the lab in November 2018. She received her B.S. in Biology from the University of Florida and Master’s degree in Medical Sciences from the University of South Florida. She plans to attend medical school in the future.